Seattle Parks and Recreation (SPR) invites the community to provide input on the High Point Community Center play area renovation project on Saturday, April 8, 2017 from 1 to 3 p.m. at the High Point Community Center, 6920 34th Ave. SW. Weather permitting, the event will be held outside near the play area. The landscape architect, project planner and project manager will provide information on the renovation project and gather community input on play features and amenities. 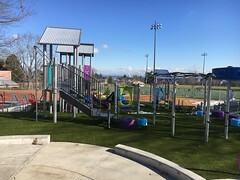 The play area is south of the community center near the tennis courts. This is an all-ages event with light snacks and children’s activities. We encourage all to attend and participate by providing input on the best play area design option for the High Point neighborhood. This project will replace the play equipment, provide access improvements, and improve safety and other features at the park. 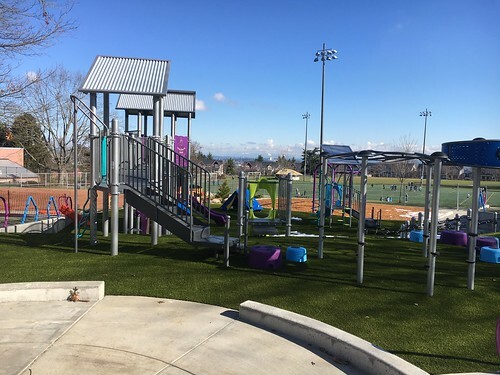 The Seattle Park District provided the funding for this play area improvement project. Approved by Seattle voters in 2014, the Seattle Park District provides more than $47 million a year in long-term funding for Seattle Parks and Recreation, including maintenance of parklands and facilities, operation of community centers and recreation programs, and development of new neighborhood parks on previously-acquired sites. Translated meeting notices and additional information can be found here: http://www.seattle.gov/parks/about-us/current-projects/high-point-play-area-renovation. If you have questions about the project, or if you would like to request accommodations or need an interpreter, please contact Karimah Edwards, Seattle Parks and Recreation at 206-233-0063 or karimah.edwards@seattle.gov. Wondering what Democracy Vouchers are, and how you can use them this year to support participating candidates running for City Council or City Attorney? The Fauntleroy Boulevard Project builds upon previous planning work done by the community to create a gateway entrance to West Seattle via mobility, landscaping, and lighting improvements to Fauntleroy Way SW between 35th Ave SW and SW Alaska St. We’re currently refining the design, including collecting feedback from the community. Visit the project webpage to learn more and complete an online comment form, now through March 31. The Metro RapidRide H Line project will provide fast, frequent, and reliable public transportation between Downtown Seattle and Burien through the Delridge neighborhood. We’re seeking input on two options. Participate in our online open house and survey at http://www.seattle.gov/transportation/rapidrideh.htm. Project materials will be available at this event. Seattle Parks and Recreation invites the community to the Queen Anne Community Council meeting on Wed., Sept. 7, 2016 at 7:30 p.m. to learn about proposed renovations for Bhy Kracke Park. The meeting is at Queen Anne Manor, 100 Crockett Street. The project manager will present information and answer questions on the upcoming park improvements which include the installation of new retaining walls and pathway widening, pathway removals, and plant restoration. Additional information will be presented and discussed on options for the arbor located south of the play area. Bhy Kracke Park is located at 1215 5th Ave. N. Seattle Parks and Recreation anticipates starting the project in last summer 2017 with completion by fall 2017. The Seattle Park District provides the funding for this improvement. 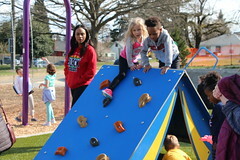 The District approved by Seattle voters in 2014 provides more than $47 million a year in long-term funding for Seattle Parks and Recreation, including maintenance of parklands and facilities, operation of community centers and recreation programs, and development of new neighborhood parks on previously acquired sites. Thank you to the Queen Anne Community Council, a 501(c)4 organization whose members are all residents of Queen Anne or workers for or owners of businesses located within Queen Anne. The QACC is governed by a Board of Trustees elected by the community of Queen Anne. For more information and a list of committees, please visit www.quacc.net. For information about the project please visit www.seattle.gov/parks/about-us/current-projects/bhy-kracke-park-improvements. If you have questions about the projects please contact Katie Bang, Seattle Parks and Recreation at 206-684-9286 or katie.bang@seattle.gov. Seattle Parks and Recreation (SPR) invites the Lake City community to an Open House on Thursday, July 28 for the design development of a new park in Lake City. 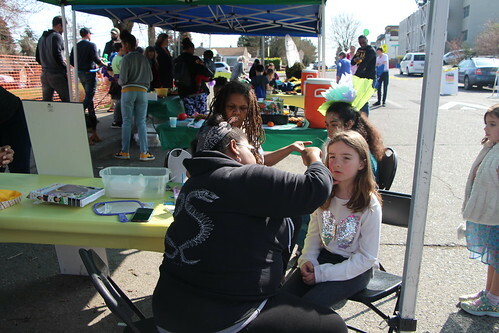 Join SPR planner and ELM Environment’s designers from 11 a.m. to 1 p.m. at 12501 28th Ave NE, just north of the Lake City branch library, or from 4:30 – 6:30 p.m. at the Lake City Farmer’s Market, NE 125th St. & 28th Ave. NE, to learn about the new park and provide design input. 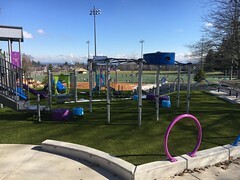 Funding for this park project is provided by Seattle Park District to preserve open space in urban areas throughout Seattle. 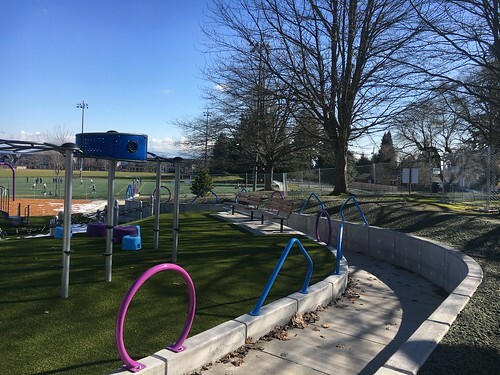 Approved by voters in 2014, the Seattle Park District provides more than $47 million a year in long-term funding for Seattle Parks and Recreation, including maintenance of parklands and facilities, operation of community centers and recreation programs, and development of new neighborhood parks on previously acquired sites. 2016 is the first full year of implementation and will include funding to tackle the $267-million major maintenance backlog, improve and rehabilitate community centers, preserve the urban forest, perform major maintenance at the Aquarium and Zoo, perform day-to-day maintenance of parks and facilities, provide more recreation opportunities for people from underserved communities and programs for young people, people with disabilities, and older adults, develop new parks, and acquire new park land. For more information or for meeting notification translation please visit http://www.seattle.gov/parks/projects/lake_city_uv/. For questions about the project or if you need an interpreter or accommodations please contact Karimah Cooper Edwards at (206)233-0063 or Karimah.edwards@seattle.gov. Seattle Parks and Recreation invites the community to provide input for a new park in the Greenwood/Phinney neighborhood. Please join Seattle Parks and Recreation’s Planner and Cascade Design Collaborative’s designers at the Greenwood Car Show between11 a.m. and 1 p.m. at 8100 Greenwood Ave N. This project provides additional open space for the neighborhood by developing the Seattle Parks and Recreation property located between 81st and 82nd on the east side of Greenwood. This is the first of three public meetings. We will be gathering thoughts and ideas around the character of the park. Seattle Parks and Recreation purchased two property sites between N. 81st and N. 82nd in November 2012 and July 2015. The two buildings will be demolished in the fall 2016. Funding for the development of the sites into a park is provided by Seattle Park District Approved by voters in 2014, the Seattle Park District provides more than $47 million a year in long-term funding for Seattle Parks and Recreation including maintenance of parklands and facilities, operation of community centers and recreation programs, and development of new neighborhood parks on previously acquired sites. 2016 is the first full year of implementation and will include funding to tackle the $267-million major maintenance backlog; and will fund the improvement and rehabilitation of community centers; preservation of the urban forest; major maintenance at the Aquarium and Zoo; day-to-day maintenance of parks and facilities; more recreation opportunities for people from underserved communities, programs for young people, people with disabilities, and older adults; development of new parks; and acquisition of new park land. 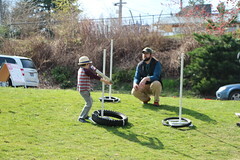 Seattle Parks and Recreation invites the community to provide input on new play equipment for the Licton Springs Park play area. Please join Seattle Parks and Recreation’s Planner and Sr. Landscape Architect on Sat., April 30, 2016 from 10:30 a.m. to noon at the park, 9536 Ashworth Ave N.
If you have additional questions about the project or would like to request accommodations or need an interpreter please contact Karimah Edwards at Karimah.edwards@seattle.gov or 206-233-0063.